Stately Brick Colonial situated on an incredible double lot which is fully fenced. Completely updated 2017-2018 to include all mechanical system - hot water heat and central air. Interior with on trend finished - gourmet kitchen - with eating area - formal dinning room - sun room off - living room - gas fireplace. Master bedroom with walk in closer - second flour laundry 0 beautiful bath with tub and shower. LL family room - bedroom. I was searching for a Property and found this listing (MLS #5144676). I would like to schedule a showing for 621 Winslow Avenue Saint Paul, MN 55107. Thank you! I was searching for a Property and found this listing (MLS #5144676). 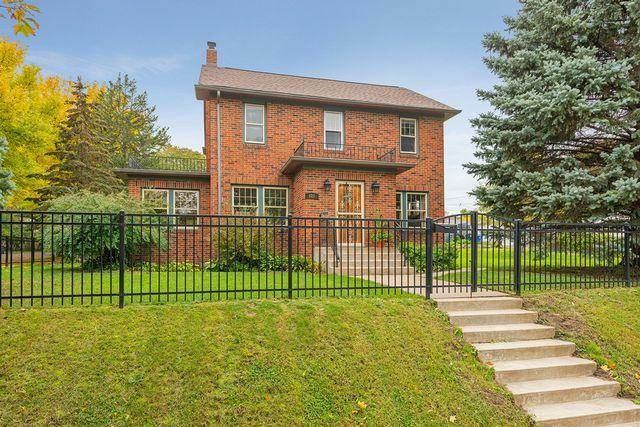 Please send me more information regarding 621 Winslow Avenue Saint Paul, MN 55107. Thank you! MLS # 5144676: This property at 621 Winslow Avenue, Saint Paul, MN 55107 is located in the West Side subdivision and is listed for $324,900. MLS # 5144676 has been on the market for 16 days.